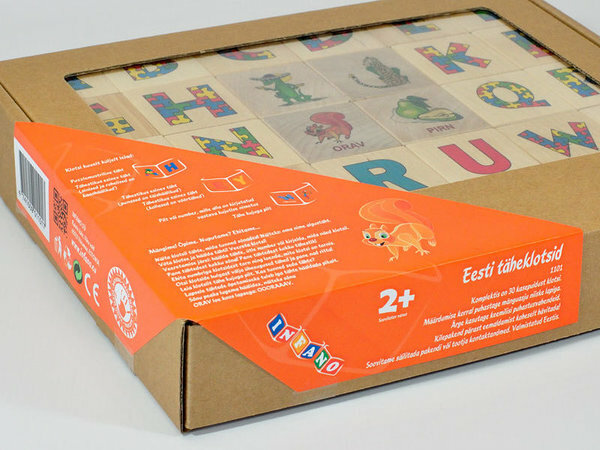 This is a great tool for teaching children to read and write in Estonian. 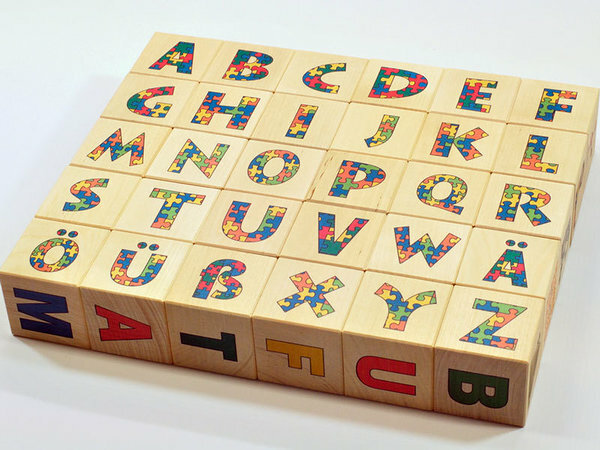 Each wooden block tells a little story. 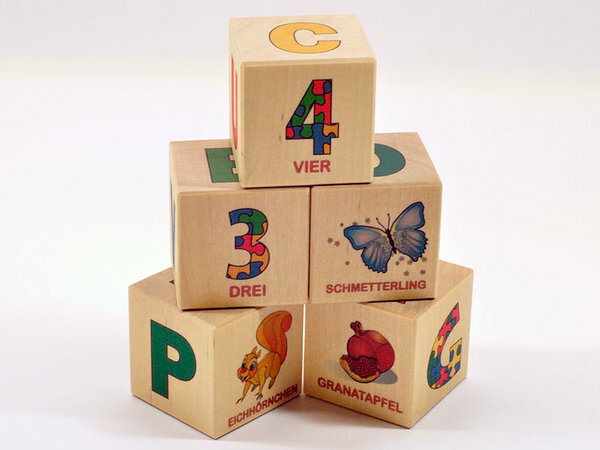 On the one side of a block, there is the image of an animal or a bird which is designed as an alphabetic letter. On the other side, there is a number (0-10) or image of a fruit, an animal or some item with description beneath them. 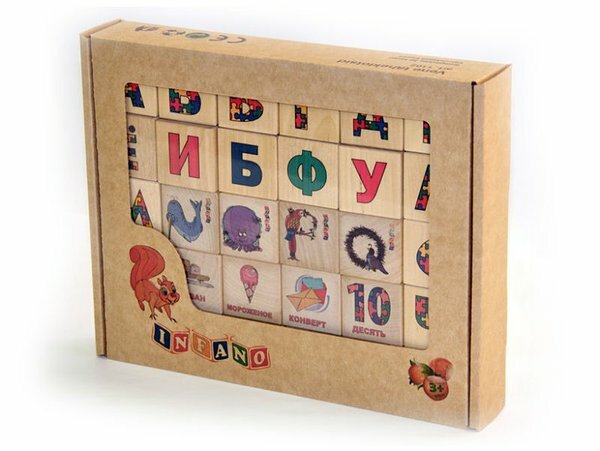 Great wooden alphabet blocks set, containing 30 blocks, including õ, ä and ö letters in the Estonian language. Made of solid wood and each has a picture and letters. Nice children table game. 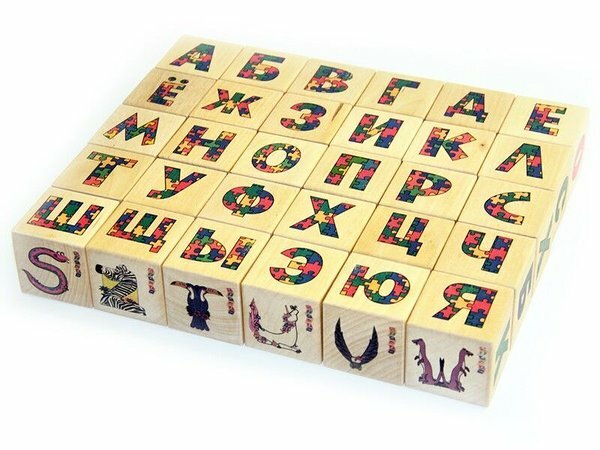 This is a great tool for teaching children to read and write in Russian. 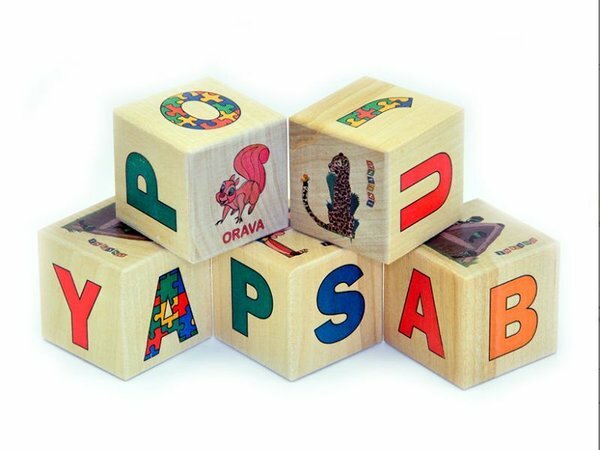 Each wooden block tells a little story. 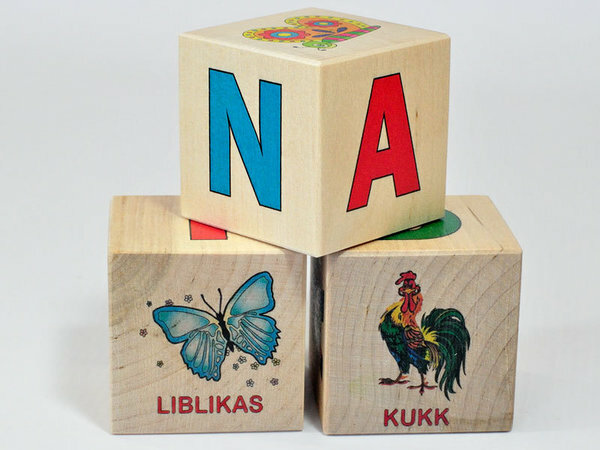 On the one side of a block, there is the image of an animal or a bird which is designed as an alphabetic letter. On the other side, there is a number (0-10) or image of a fruit, an animal or some item with description beneath them. This is a great tool for teaching children to read and write in English. 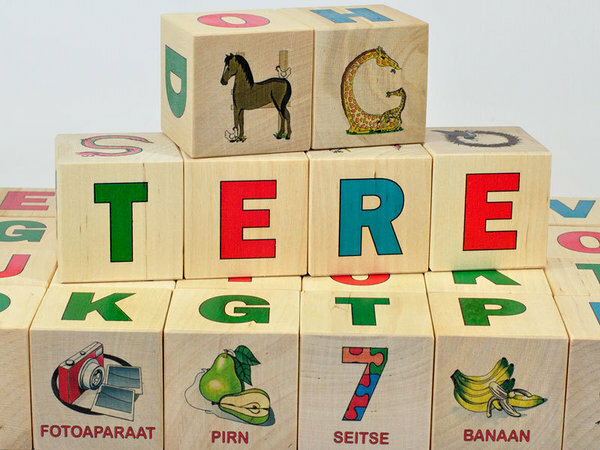 Each wooden block tells a little story. 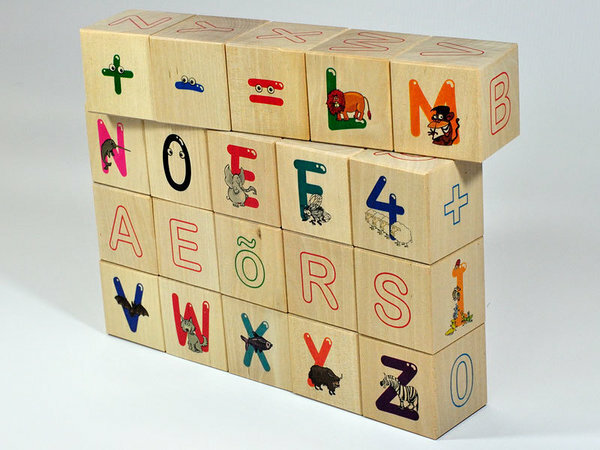 On the one side of a block, there is the image of an animal or a bird which is designed as an alphabetic letter. On the other side, there is a number (0-10) or image of a fruit, an animal or some item with description beneath them. 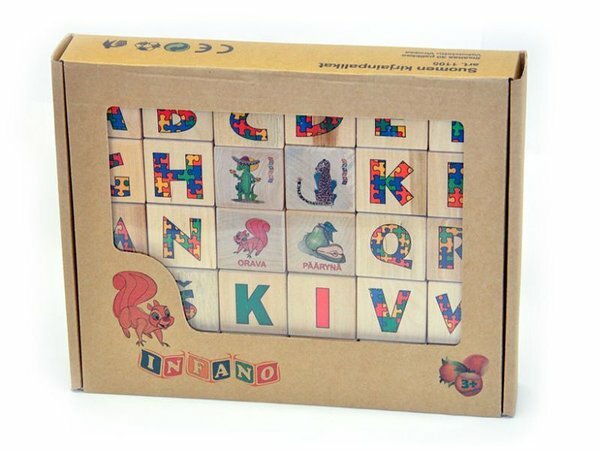 Great wooden alphabet blocks set, containing 30 blocks. Made of solid wood and each has a picture and letters. Nice children table game. 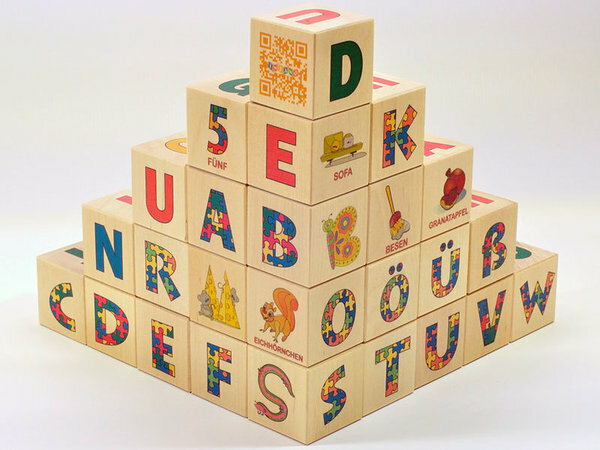 This is a great tool for teaching children to read and write in German. Each wooden block tells a little story. 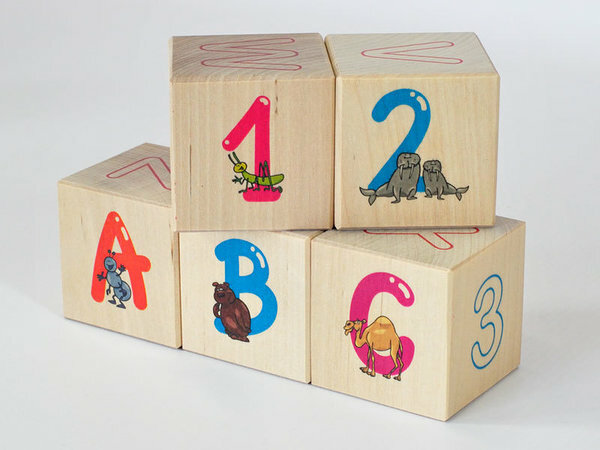 On the one side of a block, there is the image of an animal or a bird which is designed as an alphabetic letter. On the other side, there is a number (0-10) or image of a fruit, an animal or some item with description beneath them. 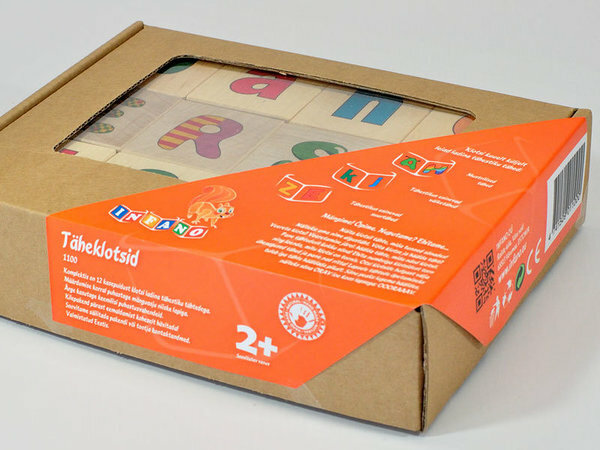 This is a great tool for teaching children to read and write in Finnish. Each wooden block tells a little story. 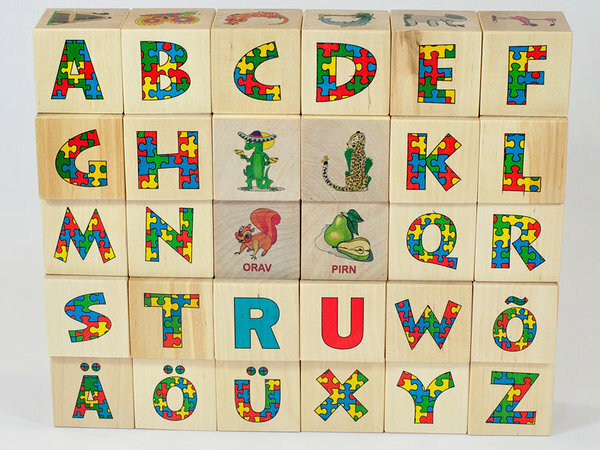 On the one side of a block, there is the image of an animal or a bird which is designed as an alphabetic letter. On the other side, there is a number (0-10) or image of a fruit, an animal or some item with description beneath them. 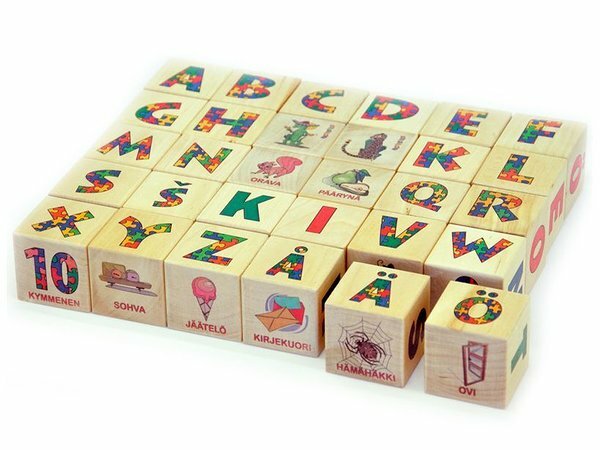 Each of these blocks allows your baby to know each color and letters. Letters are patterned. 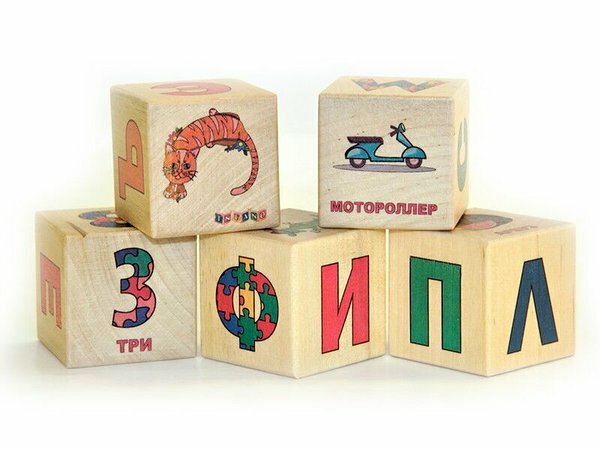 On the blocks, your child will find two sets of the Latin alphabet, and in addition to the more commonly occurring characters. 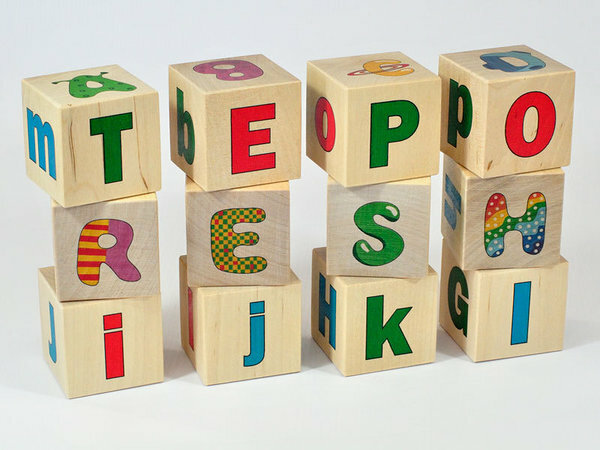 With these blocks, learning can be a fun activity! 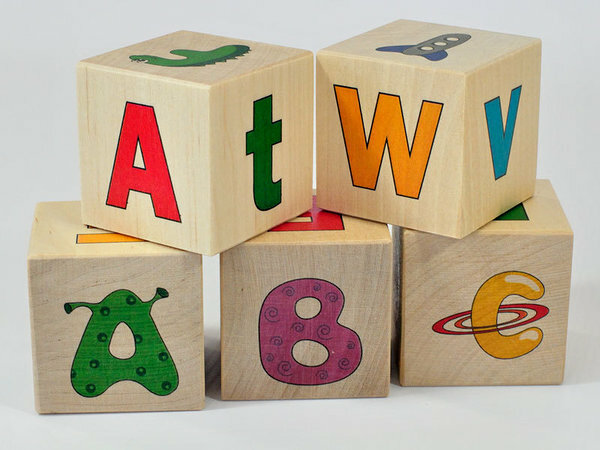 The first discoveries in the world of letters and numbers, start from here! 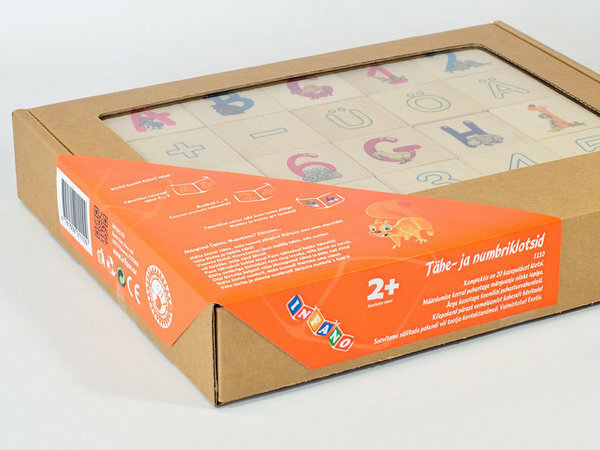 On the sides of the blocks are printed the letters, numbers and mathematical symbols. 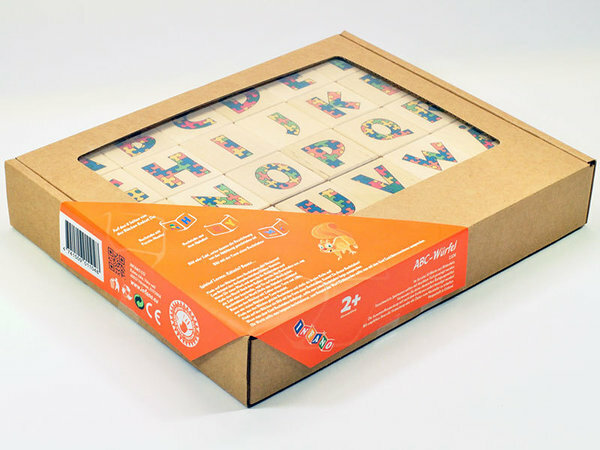 This is a timeless gift that makes learning both fun and meaningful.